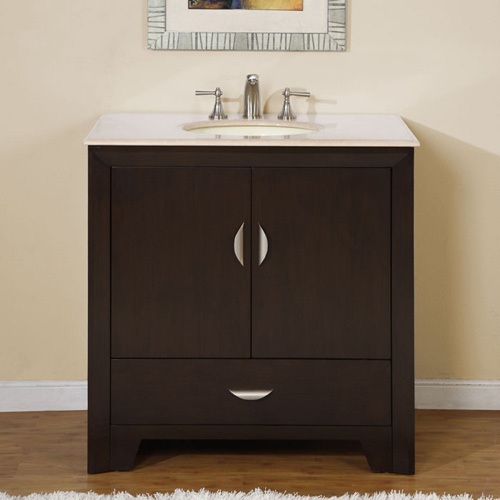 The sophisticated style of the 36" Baris Single Bath Vanity stems from its contemporary, minimalist style. 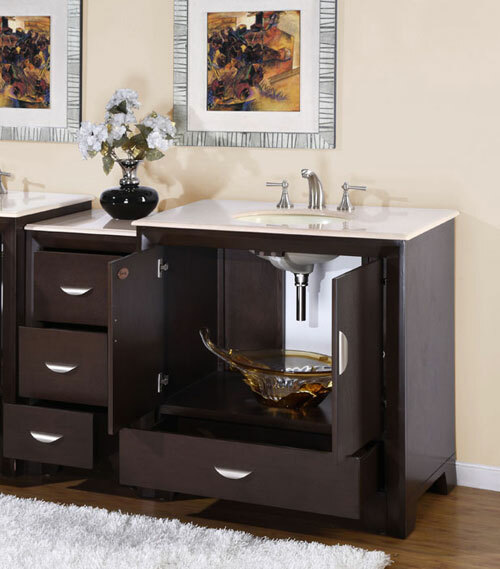 With a simple Espresso finished cabinet, this vanity boasts exquisite looks with its attractive brushed metal hardware and Cream Marfil Marble top that brings out the depth and beauty of the Espresso finish. 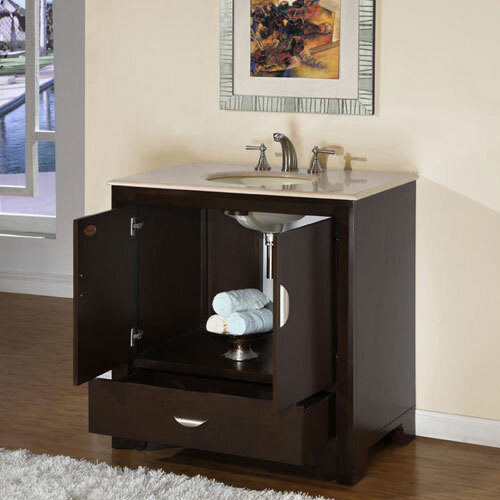 The cabinet offers a double-door cabinet with a single drawer for storage and the top comes included with a white ceramic undermount sink. Faucets are not included. 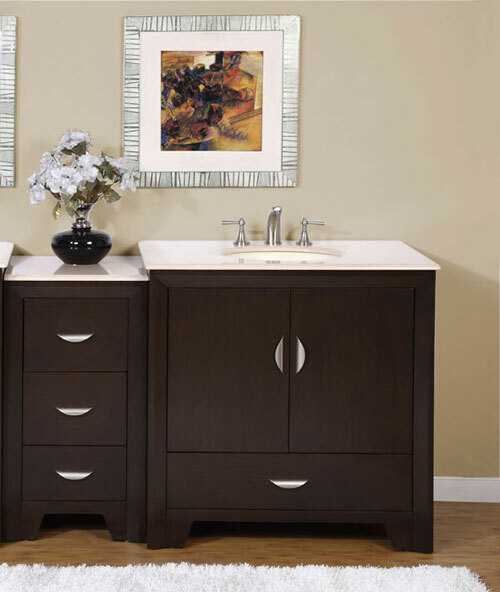 Add the optional drawer bank to give your new vanity three additional drawers.